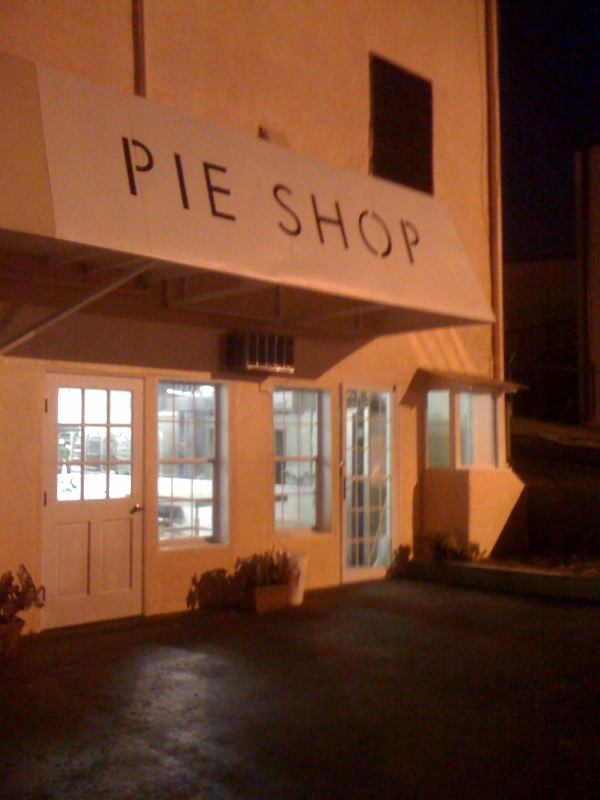 Just when you thought there were plenty of after-dinner dessert options, Buckhead introduces its latest late-night hot-spot: Pie Shop. Located in the heart of Buckhead (off of Roswell Rd @ East Andrews), Pie Shop boasts a flavorful menu of unique and creative pie concoctions. Everything from pecan to peanut butter, this home-made pie haven has exactly what you're looking for. Pick up a slice of sweet-potato or a piece of coconut cream almost any hour of the day (except for Sundays & Mondays when the pie elves rest). 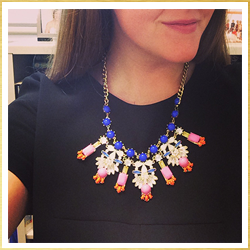 Having an attack of a late-night sweet tooth? 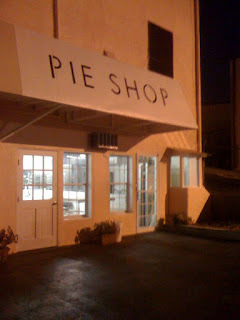 Pie Shop is open until 1 AM on Fridays and Saturdays. After a long night at the typical Buckhead bars and haunts, why not top it off with a nightcap of triangle-heaven? 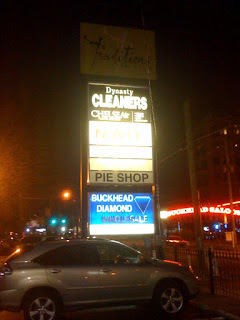 Pie Shop sits directly across from Buckhead Saloon in the basement of a shopping center. Get there early for the best selection, but don't hesitate to step out of your comfort zone: Pie Shop bakes up savory delights as well! 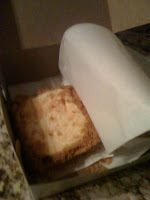 I took home honeydew melon cheesecake. YUM!